Great article Wendy 👍. Did not know he was hospitalized. One thought that crosses my mind after reading this strong essay, Wendy, is that modern (or ‘contemporary’) dance should adopt Graham’s habit of referring to her ‘works’ or ‘pieces’ as “ballets.” That might make Kirstein roll over … in a good way. Go the other direction! Refer to a ballet by Steve Paxton or Merce Cunningham. There is nothing inherent in the word that precludes such a use, and maybe the word itself is reinforcing the silos you describe. “theatrical, costumed dance and pantomime performance telling a story and representing characters and passions by gestures and groupings,” 1660s, from French ballette from Italian balletto, diminutive of ballo “a dance,” from Late Latin ballare “to dance,” from Greek ballizein “to dance, jump about” (see ball (n.2)). I’d like to find out if Martha Graham herself decided to call her works ballets, or if it was Ron Protas’s idea. In any case, I think “ballet” as a noun has an elitist ring to it. And it would be hard to call a work by Steve Paxton a ballet, or a tap or hip-hop work for that matter. Yes, I’ve wondered about that too- that dances, works of art are called “ballets”. I was surprised by this delineation. And to shift the subject a bit, I think this is a thought-provoking essay indeed, but Kirstein was such a large figure in American cultural life, and such a complicated man–he was bipolar before decent drugs were developed to deal with what is a biochemical disease–we have to be careful and thoughtful in our assessments of both the good that he did and the damage. The first certainly in my view outweighs the other. I must first point out about A Thousand Times Neigh that this was a work, by William Dollar, that was intended to sell cars, and much more important, provide paid work for dancers, which it did for six months. Ballet Caravan, which in part was founded for the same reason, had nothing to do with it; it had been disbanded before the World’s Fair I believe. 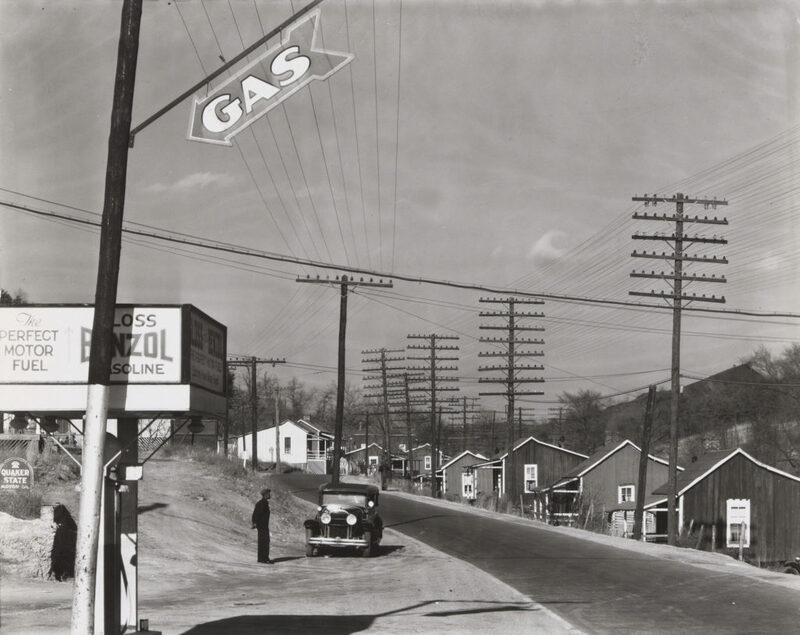 To group this overtly commercial work with Billy the Kid and Filling Station is both unfair and inaccurate I’m afraid. And those two works have endured, incidentally. 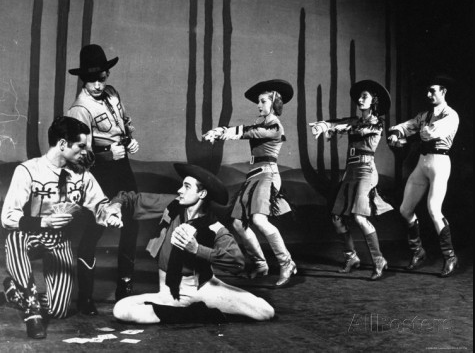 I’ve seen the Joffrey Ballet, Pacific Northwest Ballet, and the Dance Theater of Harlem dance Billy the Kid, which choreographically could conceivably be characterized as post-modern for its mixture of pedestrian movement, classical ballet, and modern movement. It is moreover a reflection of American popular culture (I forget when the first film about B. the K. was made, but possibly in the Twenties) with an anti-hero as its leading character. Like some of Graham’s work, it has Freudian undertones (Billy becomes a killer after his mother is stabbed to death). Yes, it has hokey and dated details, but Loring has been seriously underrated as a choreographer and someone (not me) needs to write a book about him. As for Filling Station, this is an anti-elitist ballet, in which a member of the working class is the hero, executing grand jetes and pirouettes, a Rich Couple, drunk, gets robbed, truck drivers do a vaudeville turn, and such social dances as the Big Apple are incorporated into the choreography. Virgil Thomson wrote the score, Paul Cadmus did the stage design, Lew Christensen the choreography, all of them American artists. As for Kirstein’s hostility to all modern dance, whoa! He has to have known that Todd Bolender had been a student of Franziska Boas and Hanya Holm when he recruited him from Muriel Stuart’s class at SAB for Ballet Caravan in 1938. Bolender used some of that modern technique in the role of Alias in B. the K. Moreover, Kirstein (and Balanchine) supported Bolender as a crossover choreographer, the former particularly for The Miraculous Mandarin, Kirstein’s indeed nasty letter to someone quoted in Duberman’s biography notwithstanding. The Still Point too is laced with modern movement, reminiscent of Holm’s. I’ll say no more here; in a few months (I hope) those who are interested can read more details in a book I’m finishing about Todd Bolender and Janet Reed and their roles in the flowering of American ballet. Martha, thanks for all this info. If A Thousand Times Neigh was made just to sell cars at the world’s fair, then MoMA should not have displayed it along with more serious pieces. I guess the film evidence was limited by what Ann Barzel happened to capture with her camera. I remember that Gloria Fokine, who grew up in Cuba, was delighted by Filling Station when it came thru, mostly because of the nifty cellophane costume and American content. Btw, I did say that Billy the Kid had an afterlife. As for the nasty letter quoted by Duberman, that would be plural, as there were many nasty letters, only some of which appear in Duberman’s excellent biography. I heard Graham refer to her works as “ballets” in an onstage speech in 1979. She also referred to “contemporary dance”. Thanks for that date cuz several people have been asking about when that changed. 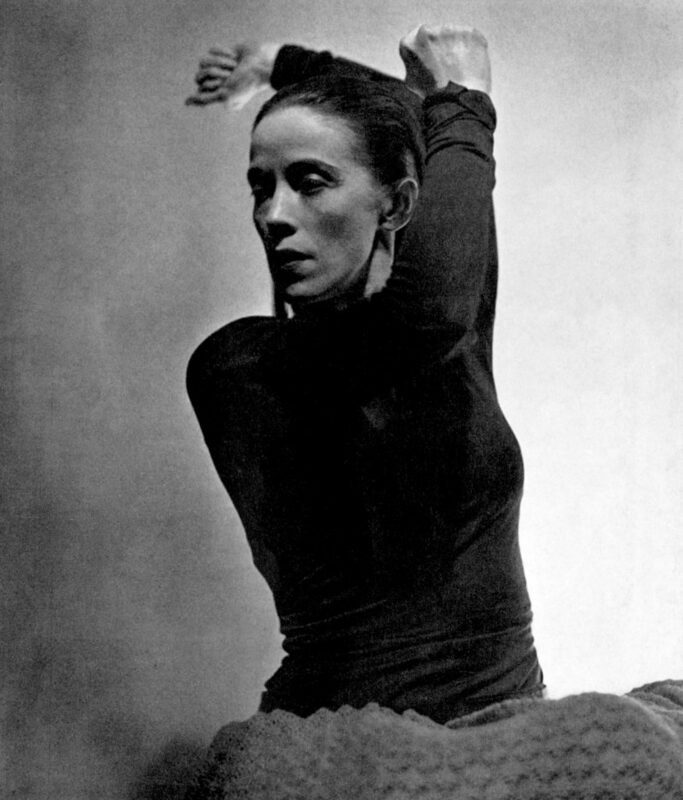 As for the word “contemporary,” the plaque in front of her school, at least as of 1963 when I started studying there, read “The Martha Graham School for Contemporary Dance.” It struck me as odd, since she was the icon of modern dance, and contemporary dance was Merce’s territory. I do not have anything to add other than my admiration for the clarity of what Wendy has written. I was completely engaged. I sensed her being hot under the collar by it all but it did not spill out as tirade but rather as clear and level headed thinking. Thank you. I was “hot under the collar” the first time I read one of Kirstein’s drive-by shootings of modern dance in the 70s. It was in the NY Times and Leisure, a precursor to his “Curse of Isadora” essay that I quoted here. Maybe I’ve taken all that time to cool down a bit. But I was glad to have an occasion to look into this a little bit further. OK, so she was calling her works “ballets” as early as 1964. I wonder if Erick Hawkins was an influence in that usage. For those of you who want to know more about the Horst memorial or anything else in the the summer of 1964 at ADF, I recommend Jack’s book “The American Dance Festival” (Duke U Press, 1987). It’s a great account of those summer intensives in modern dance from 1948 to 1985. I have burrowed into it many times. Kirstein was often excessive, Intemperate. He enjoyed blasting at various targets; he still deserves to be blasted for some of his excesses. Take care, though, that the same may not be said of you. 1. The climate in which Kirstein discovered American dance was quite different than ours. John Martin, the “New York Times” dance critic, held that modern dance was an American dance genre, and that ballet was European. He, Martin, praised Russian ballet when it seemed Russian, foreign, exotic. 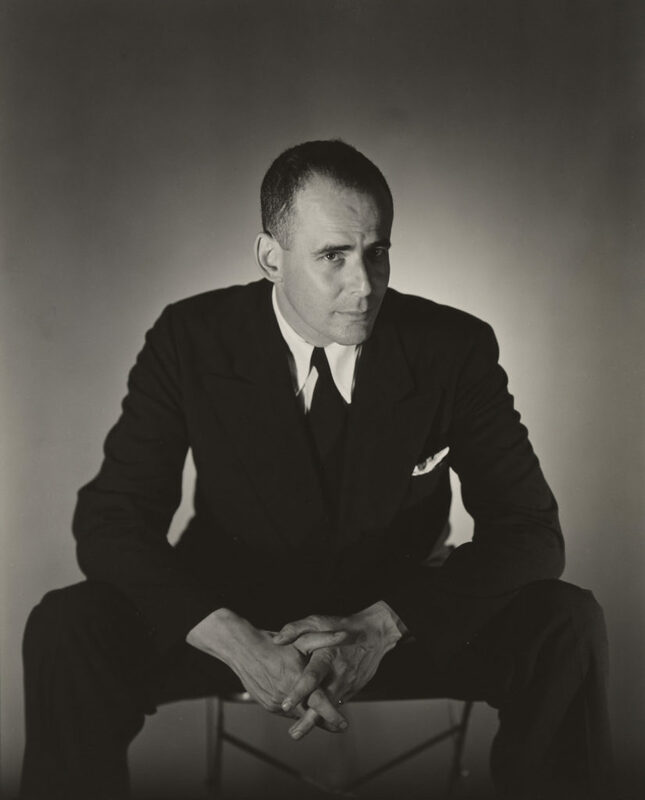 When Frederick Ashton had a success here in 1934 with the avant-garde triumph of “Four Saints in Three Acts” (with its all African American cast), Martin nonetheless advised him to return to Europe; it took Kirstein over fifteen years to win Martin round to admiring Balanchine. Under Martin, modern dance was where the “New York Times” was on home ground; and during the long subsequent regime of Anna Kisselgoff at the “New York Times”, during which Kirstein wrote his 1986 “Times” diatribe against modern dance, Graham was probably sanctified more than Balanchine in that newspaper. Kirstein seems mightily influential to us; but he was often fighting against the current. His “Blast at Ballet” is still worth reading: he’s blasting the establishment (Russian ballet, critics, the Met Opera), not modern dance. I don’t condone his more misguided remarks in later years. (It’s dangerous to quote his unpublished remarks, many of which reflected his glee in sounding outrageous off the record. I only met him properly once, but I recall that his many negative remarks were largely directed at ballet; I dimly remember him even swiping at one Balanchine ballet performed that evening, “Brahms Schoenberg Quartet”.) But his larger point against modern dance was that it tended to promote idiosyncrasy, whereas ballet’s impersonal tradition and academy were more selfless and enduring. He himself exonerated Paul Taylor and (sometimes) Graham from this charge; he found their best work exemplified classical values – not ballet’s classicism but one he admired. We may disagree about his “idiosyncrasy” point, but it’s an interesting one to consider and debate. 2. When Balanchine went off to work in musicals, Kirstein kept his ballet project going with such ballets as Lew Christensen’s “Filling Station”. Contrary to what you say, this has stood the test of time. It’s worth reading what Marcia B. Siegel wrote about that and other Ballet Caravan Americana in her important survey, “The Shapes of Change”. “Filling Station” was revived by San Francisco Ballet in 2008, while you were editor of “Dance Magazine”; more than one New York critic attended. Yet when I thumb through her “Afterimages” (1977), I find positive “New Yorker” reviews written by her of Graham, Cunningham, Taylor, Tharp (whose “Sue’s Leg” she traveled to see in St Paul), Laura Dean, Senta Driver, Merle Marsicano, Kathryn Posin, Annabelle Gamson, and others. In her Marsicano review, I note she has bothered to research a 1954 “Dance Observer” review by Richard Lippold. You, by contrast, didn’t even pay attention to the credits to the 2017 “Radical Bodies” exhibition of postmodern dance at the New York Public Library for the Performing Arts, where Yvonne Rainer’s contributions to “Ballet Review”, specifically commissioned by Croce before her “New Yorker” days, were shown. To accuse her of “questioning the legitimacy of modern dance” is drastic on your part. Can you provide a single example of this questioning of hers? In her twenty-five years as chief dance critic of “The New Yorker”, Croce only published three profiles (in the days when that magazine published extensive profiles, some of which became the basis of book-length biographies). Only one of these was about a Balanchine subject, Edward Villella. Her first was of David Gordon and Valda Setterfield: it addressed not only those two but the whole field of postmodern dance. 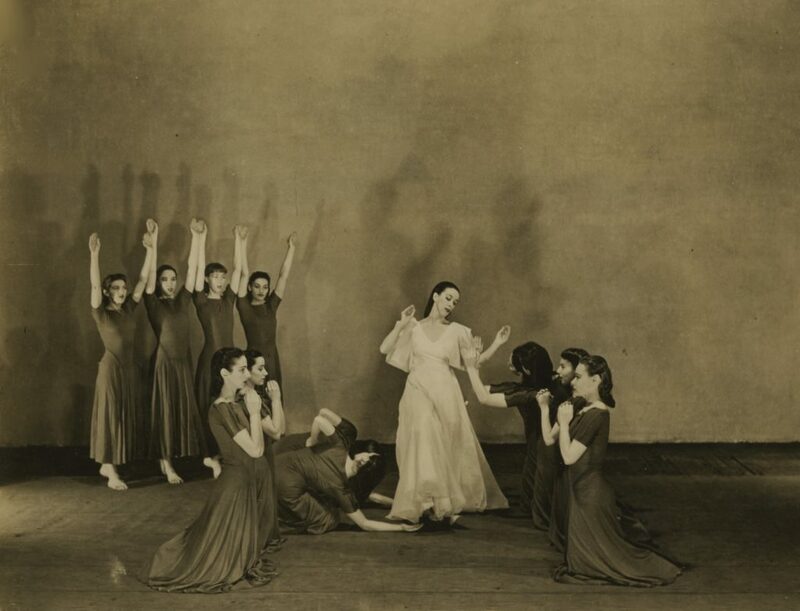 Though she, Croce, did not love Trisha Brown as a choreographer of group dances (until 1989), she certainly praised her in very high terms as a soloist. And, when noting how little inroads postmodern dance had made into mid-America, she, referring positively to Sally Banes’s “Terpsichore in Sneakers”, wrote wittily and sympathetically that at this rate Terpsichore would be in carpet slippers by the time she made it to Arkansas. She’s very far from questioning its legitimacy; and she disagrees with Kirstein more than once. Apart from the Gordon/Setterfield profile, all this (unlike a 1955 copy of “Dance Observer”, say) is easily found today. Yet you chose not to find it. I’m afraid it reads as if you prefer to be prejudiced against Croce than to check the facts. Sure, she disliked plenty of postmodern dance; she disliked a great deal of ballet too, and blasted it in equal measure. It’s worth remembering that ballet and modern aren’t the only two dance genres. Croce never made that mistake. Her first book, a classic, was about Fred Astaire and Ginger Rogers; her most recent published writing (“New York Review of Books”, February 2016), about American tap dance and Brian Seibert’s book, showed her long devotion to tap, not least to its foremost African American exponents. You can tell that Kirstein, Balanchine, and Pavel Tchelitchew (their companion that evening, and Graham’s keenest defender in the group) all enjoyed discussing Graham. Sure, Kirstein is the one who resists Graham most; but it’s fascinating to see how he’s prepared to reconsider and to report what others said to him. He’s one of those people who are more interesting to disagree with than many others whose opinions are less exceptionable. Alastair, I am not as fascinated with Kirstein’s opinions as you are. Once one knows that he liked the military and liked order (a twin preference that often crops up in his writings), it follows that he didn’t like dance artists (with the exception of Mr. B) to be spontaneous or creative. Too much hint of chaos for him. Another aspect is the supposedly spiritual thing. The good angels are Balanchine’s dancers, and the “black” angels are comparable to modern dancers whose “sin” is to not respect tradition (page 201, By With To & From: A Kirstein Reader.) These are simplistic opinions. I am more concerned with his power. People who have power often use their opinions as weapons without even realizing it. This is what is damaging and the reason I’ve written about his opinions. In seeking to demonstrate that Kirstein wasn’t the only one who voiced what I would call ballet supremacy, I mentioned Arlene Croce. I admit it would have been more accurate if I had specified the downtown subsection of modern dance as a target rather than all of modern dance. Over many years my strong impression—and that of many of us downtown—was that she would periodically group a bunch of downtown dance-makers together and write very dismissive things. In the June 30, 1980 edition of The New Yorker, she proposed a genealogy of downtown dance that was reductive and off-base, claiming that Robert Wilson was as influential as Cunningham. This column prompted letters from Yvonne Rainer, Meredith Monk, and Kenneth King, who himself had influenced Wilson, all trying to give credit where it was due. Nevertheless I thank you for pointing out that Croce “was by no means a card-carrying Kirstein acolyte.” My apologies go to her for making that assumption from afar. I stand by my claim that Kirstein was ignorant about the training of modern dance. Certainly the techniques of Graham, Humphrey, and Cunningham, though not requiring as long an apprenticeship as ballet, are also rigorous. I know this not from any quotes but from my own long years of serious training (including two intensive summers at the School of American Ballet). After Kirstein’s momentous decision to bring Balanchine here, perhaps he was, in a sense, protecting his investment by making this unfair claim. It’s true that there is not a single, agreed-on training method in modern dance, but the individual approaches add to the richness of the field. Martin Duberman, his biographer, said that Kirstein basically felt that ballet had replaced modern dance after the 30s. Again, this, to me, is not an “interesting” opinion but a destructive one, considering how close Kirstein was to the funding establishment.